Thank you for visiting our website. 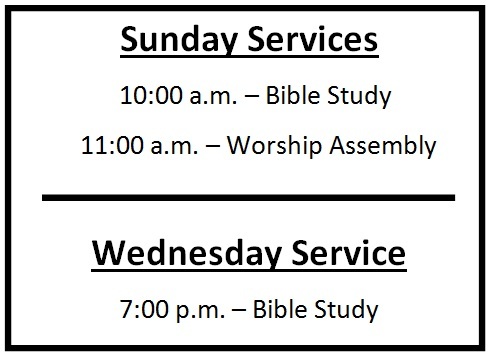 We invite and warmly welcome you to attend any of our study and worship services. If you have any questions or comments, please let us know in the "Contact Us" page. 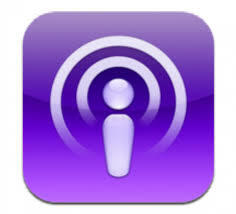 To listen or to download sermons, go to the "Recorded Sermons" page. To find out about our upcoming Gospel Meetings, go to the "Gospel Meetings" page. We are a group of individuals that are “diligently seeking God” (Hebrews 11:6) and striving to “glorify [our] Father in heaven” (Matthew 5:16). Our purpose is to serve & worship God according to the words of the Bible and to follow the example of the New Testament Church. Our goal is dictated by Colossians 3:17— “And whatever you do in word or deed, do all in the name of the Lord Jesus”. We believe that Bible questions can be answered by opening the Scriptures and giving book, chapter, and verse. We strive to follow the example of the Bereans: Acts 17:11— “they received the word with all readiness, and searched the Scriptures daily to find out whether these things were so”. Above all, everything we do is dictated by II Corinthians 5:9 – “We make it our aim... to be well pleasing to Him”. Visit our podcast at: www.pinegrovecoc.